The newest trending topics from around the globe. 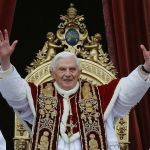 Pope Benedict XVI marked Christmas Eve with Mass in St. Peter's Basilica and a pressing question: Will people find room in their hectic, technology-driven lives for children, the poor and God? The 12th annual 'No Pants Subway Ride Day' went off without a hitch on Sunday. Thousands of train passengers from Sweden to New York City took part -- many showing off a remarkable lack of quality undergarments. Healthy subscription boxes provide customers with a monthly taste of the trendiest options in luxe health snacks and workout gear. The veil has lifted on the car, trucks, SUVs and crossovers at the 2013 North American International Auto Show held this week at the Cobo Center in Detroit. I’m in the fetal position at the bottom of a swimming pool. Water temperature: 60 degrees Fahrenheit. In my lap there’s a 20-pound weight anchoring me in place. All I’m wearing is a Speedo, a nose plug, goggles, and a snorkel resembling an oversize asthma inhaler. The mouthpiece connects to two 4-foot hoses feeding out of the water and into a PC-sized box next to a laptop. The craze is called Gou gou chuan siwa” (狗狗穿丝袜) literally “Dogs Wearing Pantyhose” and apparently it first started via the Chinese social network Weibo. It was there, that one user uploaded a photo of his dog wearing pantyhose as a joke, shortly after that image alone garnered 16,000 comments and thus a new weird corner of the internet was born. Animated GIFs are enjoying a renaissance on the interwebs, but very few of them could be considered art. That’s why Peter Marquez grabbed our attention. Instead of getting laughs, his GIFs make us feel. They’re pictures you wish you’d been there for — of angelic, grungy kids living, dreaming and playing in New York City. Described as a pocket-sized personal trainer, Breezing tracks your metabolism over time and creates a diet and exercise plan specific to you. What you might not realize is that your metabolism is what tells you how many calories you need to lose, gain, or maintain weight. Using your specific metabolic information, Breezing gives you customized advice on how to reach your weight goals. Things you Must Fix in Your Home Today! Love the look of the Louboutin Petal Sandals but can’t quite drop the cash? Create your own bespoke pair using strappy sandals, sheer fabric, and ribbon. Polishes that span the color spectrum, a five-setting toothbrush, spray-on body lotion and more. If you’re a kid today you’ve grown up in a world that has always had the Internet. A world where entertainment is literally at your fingertips 24/7. But as anyone who was born in the mid 80′s / early 90′s knows – that wasn’t always the case. Here’s 10 things that kid’s today will never experience. As the weather continues to warm up, all of our parties, dinners, and activities head more and more into the lovely outdoors. If you’re getting ready to stock up on some new porch, deck, or patio decor, why not start with a bit of inspiration? Here are 16 decks that are just begging to be lounged on. If you haven't already seen the Internet's current favorite exercise phenomenon, do yourself a favor and watch "Prancercise: A Fitness Workout." It is worth every minute. Getting tattooed used to be an act of rebellion. Now it's a corporate branding tool. Summer and sandals go hand in hand, or rather foot in…shoe? However you want to say it, warmer weather calls for new shoes that show off your pedicure. Here are our favorite flat sandals (no flip-flops allowed!) that are fun enough to keep your wardrobe interesting, but can also be worn into an office, even if only on casual Fridays. What’s Hot in New Home Trends for 2013? Green, cutting edge, technological, luxurious, and entertaining are adjectives that best describe where housing trends are heading. While the word trends suggest a fleeting fancy, the forecast suggests that we are on the cutting edge of some fantastic innovations that are not only here to stay, but will continue to grow and evolve, influencing potential future home trends. Say goodbye to the world, and hello to this summer's post-apocalyptic film frenzy. What Is the Deal With Green Pants This Year? The Gentleman Scholar inked this question in the margin of his commonplace book a couple months ago, scratching a note to self alongside a draft of a villanelle, a recipe for a Paloma variation, and a doodle of an octopod xylophonist. A look at the most disruptive restaurant trend over the past decade. Is 'Unicorning' The New Planking? Internet geeks have entertained themselves by planking, Tebowing, owling and Vadering, but a new meme is horning in on the action literally. It's called "unicorning," and it basically requires people to wear rubber unicorn masks in inappropriate settings, which is essentially everywhere. Whose is Putting Coke and Pepsi Out of Business? the $74.3 billion dollar soda industry. In an effort to answer the burning question that nobody asked, PornHub recently released the top three most searched for words state to state in the U.S. The results have been enlightening, yet horrifying. Have ice cream and a Ziploc bag? You can try New York’s newest dessert craze: the Spaghetti Sundae. Are E-Cigarettes a Boon or a Menace? A new study says electronic cigarettes could help people quit smoking. But doctors worry that the battery-operated nicotine inhalers carry major risks. It seems that to be a famous blues musician you have to be over 65—or dead. Ted Gioia goes in search of the youth movement in blues with five artists to listen to now. Google co-founder Sergey Brin is using masculinity as a metaphor for power to appeal to the elite. It probably wasn't on Shakespeare's radar that his work would one day unite Megan Fox, Danielle Lineker and Lindsay Lohan. But it has - they all have Shakespeare quotations tattooed on their bodies. Why are more people getting such high-brow inkings? The demand for goat meat is strong, said Adams, president of the Maryland, Pennsylvania, West Virginia Meat Goat Producers Association.